In an effort to jump start this blog, I’m committing to watching 30 films in 30 days, chronicling them as I go. There’s no plan, no agenda. I watch whatever appeals to me at the moment. First up: One of the immortals—and one of the, uh, mortals. I didn’t intend for Casablanca, of all films, to be the one that launched this project, but the Blu-ray (the 2008, not the new 2012 restoration) arrived in the mail and I thought, why not? It’s only fitting. I was first exposed to this landmark as a teenager at the Drexel Theater on the east side of Columbus. And have likely watched it two dozen times since. To me, it’s neither the greatest film ever made nor my own personal favorite (although I’m not sure I could easily come up with better candidates on either score). Rather, it’s that Casablanca to me encapsulates every reason to go to the movies. I have a bias toward what I might call high-end popcorn films and nothing has ever delivered sheer entertainment quite as effectively as this wartime thriller. It’s been rightly praised as the finest achievement of the Hollywood studio system as well as a direct refutation of the auteur theory (although Michael Curtiz made some pretty damn good films). If anything it’s a triumph of collaboration (and not in the Vichy) sense, from the studio and its producer, Hal Wallis, to Curtiz’ sure hand, to the pitch-perfect casting of Bogart, Bergman and a bevy of actors in sharply drawn secondary roles, many of whom were refugees from the war in Europe, to the multiple script writers and doctors, to the music that remains in the minds of many the film’s signature. Regardless, it’s one of the few movies that I enjoy as much now as I did 30 years ago, impervious to my more-critical eye. If anything, the film’s power has reasserted itself, as it has revealed new dimensions. For instance, this time around, I was struck by how the film efficiently builds its world, taking the time to introduce the desperation of the refugees, the slipperiness of the criminals, the moral relativism of Claude Rains’ Renault, and the arrival of the Nazis. It throws piece after piece at the viewer, with Rick—and finally Ilsa—coming last. This is a film that has the confidence to introduce the luminous Ingrid Bergman more than a half-hour into the picture. Name a modern movie that would keep its leading actress offscreen for so long. Today’s version would toggle between the leads, providing an execrable backstory for both, with the meeting between the two an anticlimactic eventuality. Notice too how the film breaks down our view of Bogart’s Rick Blaine almost as soon as it introduces him. He goes from a stoic, a man with a sure grip on his corner of the world to one shattered at the sight of Bergman. Both characters traverse emotional arcs that reveal torrents of feeling, but also cores of granite. At first it’s Bogart in command with Bergman at a loss, then the roles reverse when she visits him again after their first encounter. At that point, it’s Bogart who becomes the pursuer and Bergman the immovable one. As with most relationships, the two spend much of the stories separating their selfish feelings from their personal obligations—and only at the end do they find a sort of equilibrium and with it, they regain their dignity. 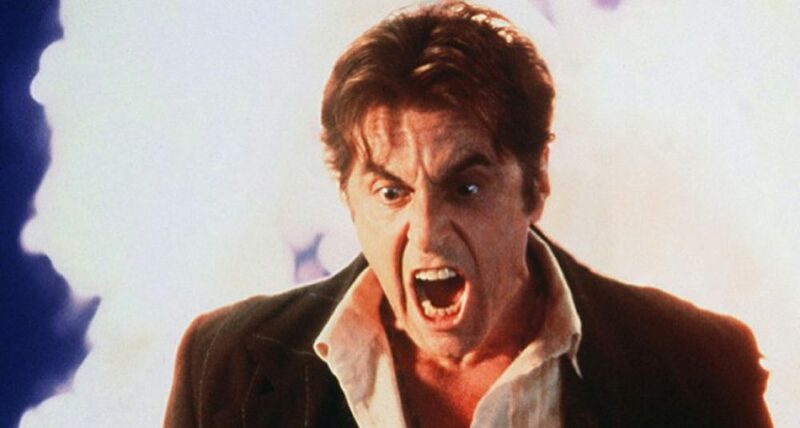 Most of their struggles are shown to be internal—a great key to the success of the film—rather than expressed purely through dialogue. What separates a classic from just another B-picture is evident in Algiers, a film which had a dramatic influence on Casablanca. 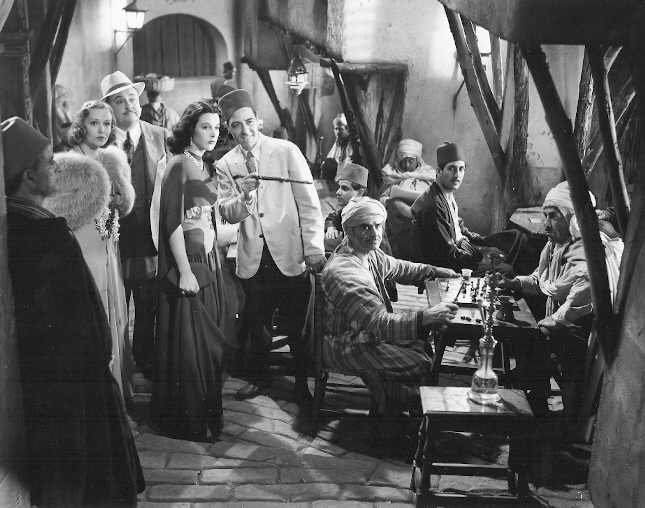 The 1938 film offers the same mix of romance, danger and North African exoticism as its illustrious cousin, but with inferior elements. If Rains’ Renault was instead a thief and made 20 degrees more charming, you’d have Algiers’ Pepe lo Moko (Charles Boyer), who spends the film evading the police even as he romances the sultry Hedy Lamarr. 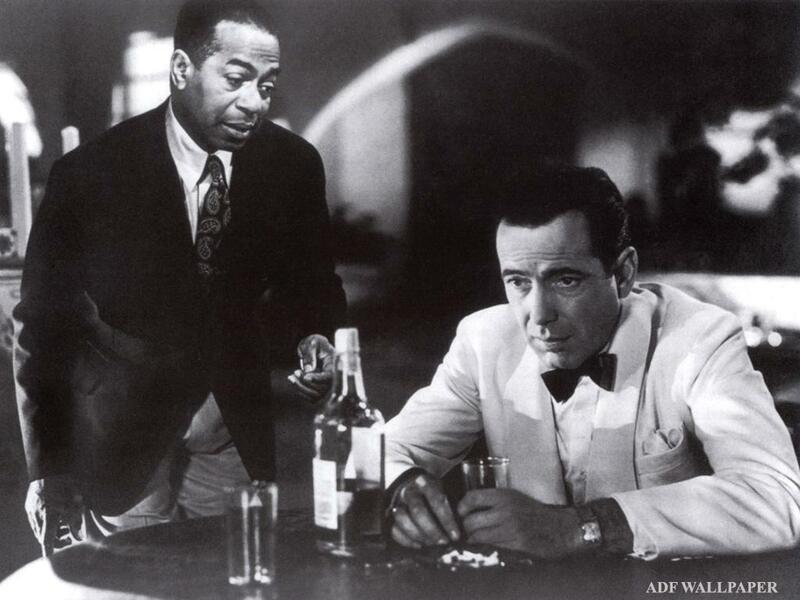 (Lamarr became a top choice to play Ilsa in Casablanca). But the film never rises above its routine thriller plot, the secondary characters remain unformed (although what’s Alan Hale doing here?) and the ending, well, let’s just say it isn’t Bogart and Rains walking into the fog. Sometimes the more subtle turns of tragedy are the most resonant. You have to earn the full Shakespeare. Boyer, by the way, does get to utter the those-were-the-days line when he tells Lamarr: “I wish I knew you better. That way I could hit you in the face.” Those French romantics. This entry was posted in Blu ray, Chemistry Sets, Lists, Movies We Can't Turn Off, The films of our lives by James Oliphant. Bookmark the permalink.